Clever me. 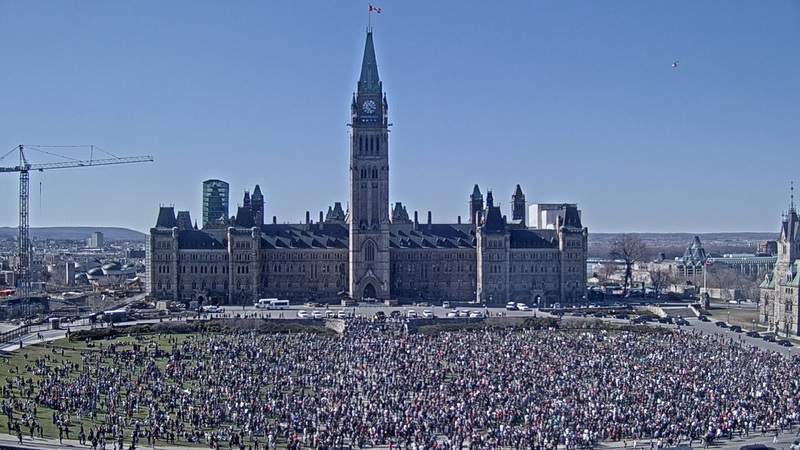 I saved screen shots of the 4/20 marijuana rally from the Hill Cam to compare with March for Lies, Futility on the Hill Bunfest. 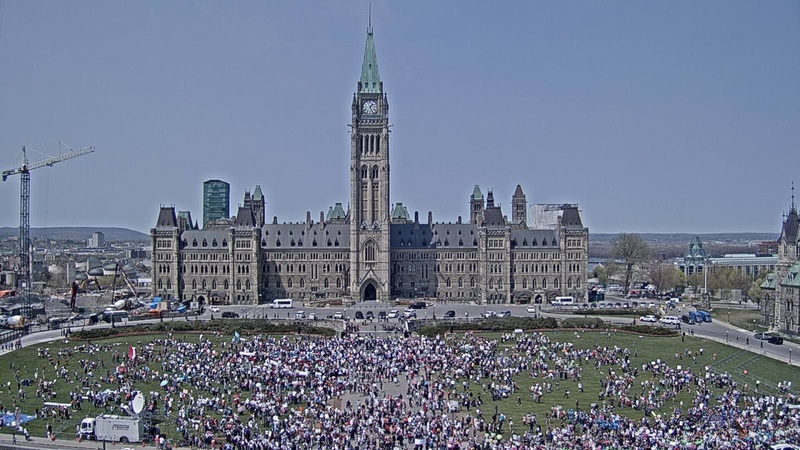 Top image today at 1:26, just before the marching, at max attendance. Bottom image 4/20 at 4:20. 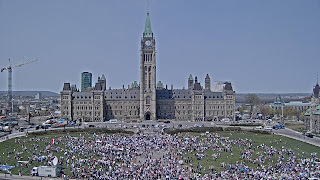 Speakers at today's bunfest claimed there were 20,000 people there. David Akin, veteran reporter of these events, estimated 4,500, adding that that might be generous. 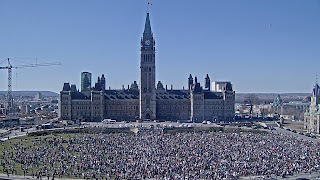 Part 2 will be a report on the fetus freaks' inflation of this sparse event to SEVEN GAZILLION!